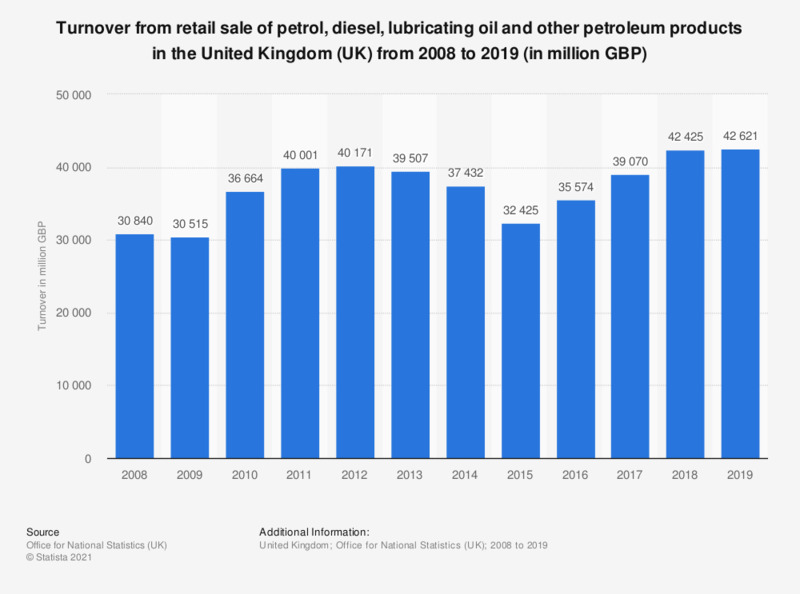 This statistic shows the total annual turnover of the retail sale of petrol, diesel, lubricating oil and other petroleum products from 2008 to 2016. In 2012, turnover from retail sales of petroleum products was estimated at approximately 40 billion British pounds. This number decreased greatly in 2016 with figures falling by 6.2 billion British pounds. In total the turnover figures for 2016 were at 33.87 billion British pounds.